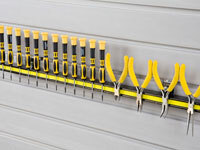 Call Garage envy for the complete installation of garage storage accessories to enhanced garage design. The garage of your dreams begins with a free consultation with a Garage Envy garage designer, who can explain how our process works, what you can expect from our storage and organization system, and how to care for your new garage. Complement your new Garage Envy garage with accessories to meet your every need. 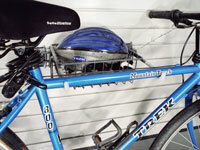 Hooks, racks, shelving, tool holders, bins, baskets and more will make your garage work for you! 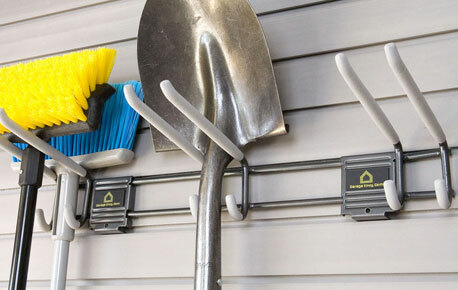 Tool and garden storage, bike storage, ski-snow-skate equipment storage, kayak and surf gear, safety and cleaning supplies, sporting goods … No matter what you have to store, we have accessories just right for you.